It’s all the more relevant because Zack Snyder’s Dawn of Justice failed to impress across the board when it hit theaters two years ago – an international haul of $873 million wasn’t enough to mask the film’s many problems – and though Diana Prince’s origin tale is still waiting in the wings, it’s small wonder why critics are already declaring Wonder Woman to be the best entry into the DC Extended Universe yet. 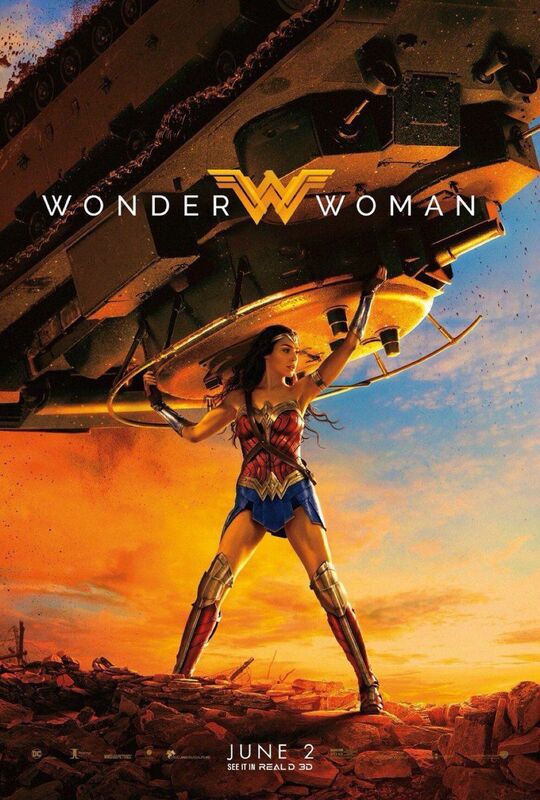 And so, in a bid to fan the flames of excitement, Warner Bros. has now premiered an all-new poster for Patty Jenkins’ standalone pic in which Diana Prince does the heavy lifting – quite literally, in this case hoisting a WWI tank into the air as though it was made of styrofoam. If nothing else, it serves as a timely reminder of Diana’s otherworldly strength, which will no doubt come in handy once she trades the idyllic hills of Theymscira for the muddy trenches of a war-ravaged Europe. Will that story spill over into a sequel? It’s possible, what with Zack and Deborah Snyder already dropping hints that a Wonder Woman 2 is already in the mix. Should Jenkins get another crack at the DC icon, the director has expressed a desire to bring Gal Gadot’s warrior back into the future – for an adventure that takes place after Justice League, perhaps? Wonder Woman opens June 2nd – just don’t waste your time hanging around for a post-credits sequence. Imbued with power, grace, wisdom and wonder, you’ll be able to catch another glimpse of Gal Gadot’s warrior princess in action down below.